LOGAN — A judge has ordered Stacy “Rob” Willis to be held without bail while prosecutors determine whether or not to seek the death penalty on allegations that the 41-year-old Hyrum man beat a California woman to death. Willis was arraigned in 1st District Court Monday afternoon by video from the Cache County Jail. He sat slouched in a chair as Judge Kevin Allen read the nine charges filed against him, including capital murder, three counts of obstruction of justice and possession of a dangerous weapon, all second-degree felonies, and four misdemeanors. State attorney Tony Baird requested Willis be held without bail. He told the court the suspect has a history of trying to escape from authorities and there have been threats made against several of the witnesses in the case. The capital murder charge means Willis could be sentenced to death if convicted. Baird explained to the court, though, the county attorney had not made a decision yet on whether or not to ask for the death penalty. Police arrested Willis last week on suspicion of killing Merrilee Cox-Lafferty last month. The woman had reportedly traveled to the area to help a friend move and meet up with Willis. 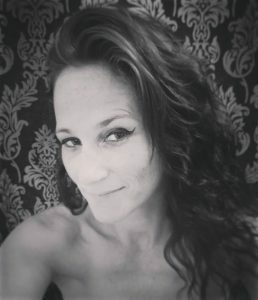 Her body was found Friday in a make-shift grave, eight-miles east of Hyrum in Blacksmith Fork Canyon. Her family had reported her missing August 21st, three days after several witnesses saw her and the suspect fighting. Police allege that Willis took Cox-Lefferty to a campsite in Left Hand Fork Canyon on the afternoon of the 18th. He then beat her to death and buried her body in a rocky area, under a tree. He later told a friend that he pulled her from his car after she backed into a tree, breaking the vehicle’s rear-window. He killed her with elbow blows and took the friend to the campsite where her body was buried. A second acquaintance told officers Willis asked him to drive Cox-Lafferty’s car to Boise, Idaho and leave it in a hotel parking lot. The car was later found by officers and returned to Logan City investigators. Willis spoke only briefly during Monday’s video arraignment, telling the court he didn’t have any questions regarding the charges filed against him. He was assigned two public defenders to represent him and ordered to appear again October 1st. Willis was recently released from prison. He was convicted of shooting at a couple outside the North Logan Walmart in July 2014. Several typos in this article. Is no one editing prior to posting online? Did you not think about the family and friends reading this comment? How cold do you have to be to read this and think, “Hmm… You know what’s wrong with this? TYPOS!” My friend was murdered. Viscously. While she was trying to help another friend. To hell with your Grammar Police BS. Look her up, share her story. She had a service dog for multiple reasons, children she loved dearly and a chosen family that loved her more than anything. Correct yourself or stay quiet. Richard. This man beat the mother of our children to death. My children have no mother. Typos are really the last thing I see when I read this article. Maybe you could say omg this is terrible. Or that poor woman . Idk nit picking typos just feels a little cold. Some day somebody’s going to violently take this mans life when they find out what he did. Merrilee was a good person, kind, and selfless. She didnt diserve this. Further more he doesnt diserve the death penalty. He deserves a different kind of justice. Ive spent a decade in prison myself. Theres folks on the inside that wont let this slide by and when it happens i prey it doesn’t end fast! Let there be suffering, let there be fear, let there be pain…. Let the thought of what brought him to this violent end be of her beautiful face…. Brayn Dugan. That’s exactly how i feel. put him in population. Death row that’s just a long prison sentence in a secluded one man cell. put in population as a WOMAN BEATER AND HE LEFT CHILDREN WITHOUT A MOTHER. I hope sone one shanks him and he bleeds out ever so slowly and no one comes along until it’s to late. Honestly even that’s too good for him. I loved her so much I named my daughter after her, and because I am uncomfortable using public media, I just found out why my friend had changed her number without telling me and why she wasn’t answering me. If anyone has any info to impart, anything that can make a difference, maybe just to let me know if Cambria needs anything or if the boys are holding up ok through all of this, I can’t even start to explain how much it would mean to be there for them. My family loved her so much, we were so proud of her and the huge steps she took. I didn’t know how much it would hurt to look at her beautiful face in pictures, and realize that I missed my last chance to kiss her in August.